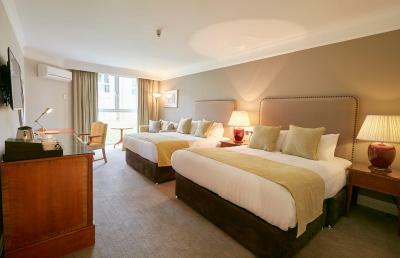 Lock in a great price for Coldra Court Hotel by Celtic Manor - rated 8.6 by recent guests. 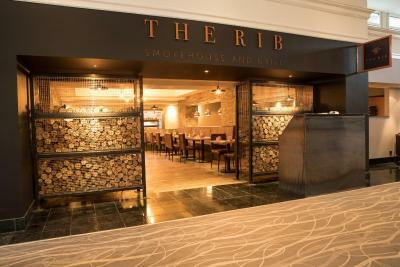 Was surprise night away for my wife's birthday, everyone who helped went above and beyond to make it a lovely evening, an the hotel and rib restaurant were outstanding. Room was lovely, clean and comfortable. The breakfast was good value for money. 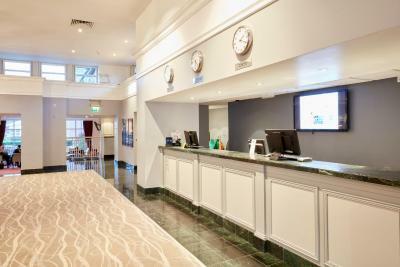 The service was great, staff welcoming and accommodating. 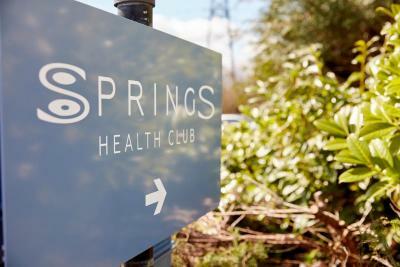 Lovely spa facilities, great for relaxing. Breakfast was lovely. The restaurant, although we had a bad meal, they more than made up for it with their service. We also had complimentary Prosecco as it was our Anniversary, very nice touch. We stayed here for my husbands birthday, the staff went above and beyond to make this occasion special. The hotel was warm and cosy and so clean. The staff everywhere were so helpful and cheerful. The food was delicious. Thank you. 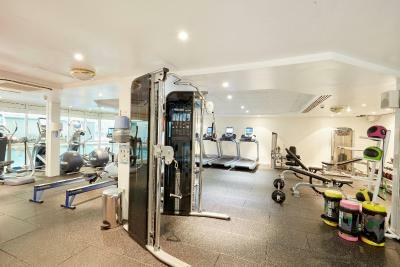 Comfortable seating area, excellent gym, lovely room. 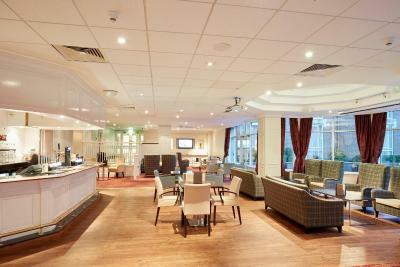 Coldra Court Hotel by Celtic Manor is located in Langstone just off the M4, on the outskirts of the city of Newport. 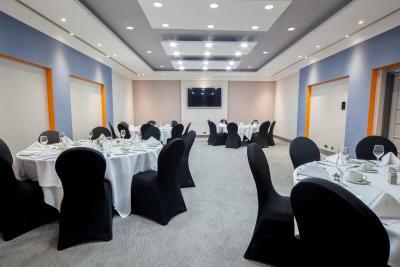 The hotel offers a restaurant and leisure facilities, including an 20 yards swimming pool, a sauna and a steam room. Free WiFi is available throughout. 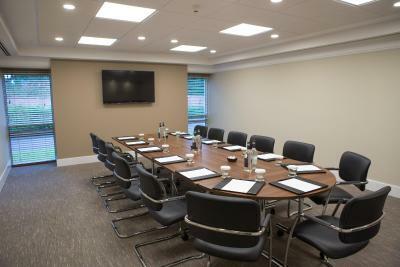 All the rooms come with a wide-screen TV and tea/coffee making facilities. 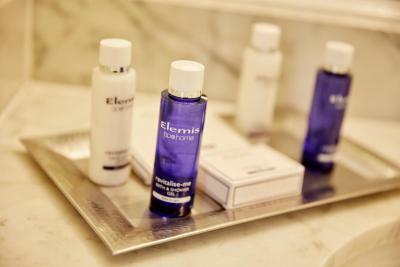 Each en-suite bathroom has a shower and complimentary luxury toiletries. Some rooms have a bath with overhead shower. 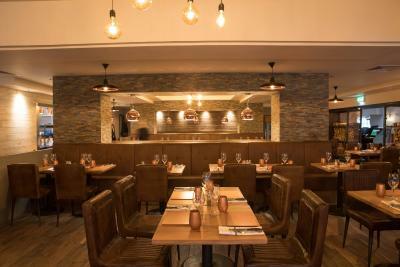 The Smokehouse & Grill restaurant has a timber smoked oven and specialises in Southern style barbecue food. 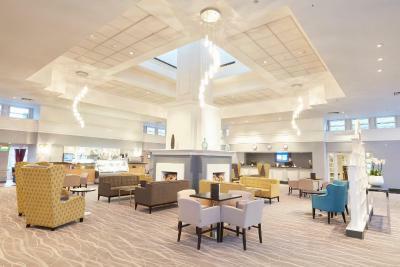 Guests can enjoy pre-dinner drinks and cocktails on the patio of The Court Bar, or grab a coffee and newspaper to relax on the sofas. 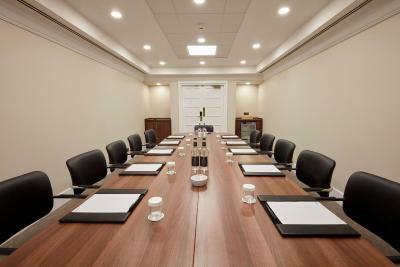 Popular local activities include watching the rugby or football at Cardiff's Principality Stadium, which is 19 miles from Coldra Court Hotel and rugby. The horse racing at Cheapstow is 14 miles away. Both Bristol and Cardiff airports are less than 35 miles away. Newport Wetlands Reserve is just 6 miles away and guests can enjoy the wild life and fresh air. Guests can explore the Usk Valley and surrounding areas. Celtic Manor Resort is a mile from the hotel. 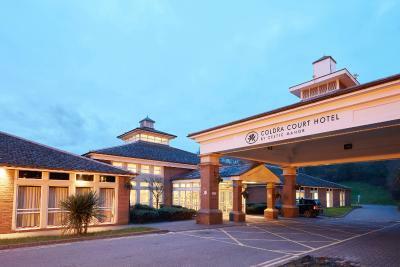 Coldra Court Hotel by Celtic Manor has been welcoming Booking.com guests since 31 Jul 2009. When would you like to stay at Coldra Court Hotel by Celtic Manor? 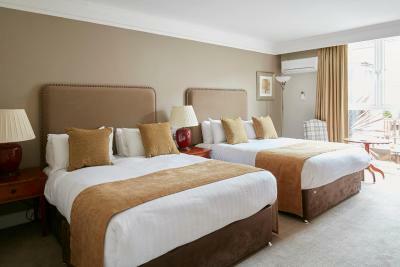 The standard rooms offer double or twin beds, an en-suite with bath and overhead shower. Private parking is possible on site (reservation is not possible) and costs GBP 6 per day. 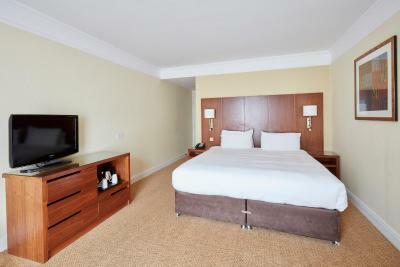 These rooms feature a double bed and an en suite bathroom. 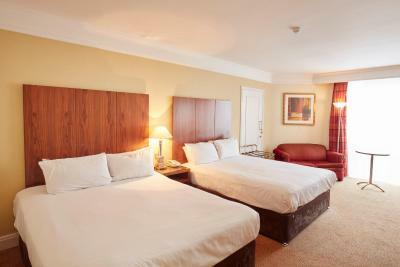 The superior twin rooms offer a living space with 2 single beds. The en-suite facilities contain a shower. Air-conditioning is also provided. 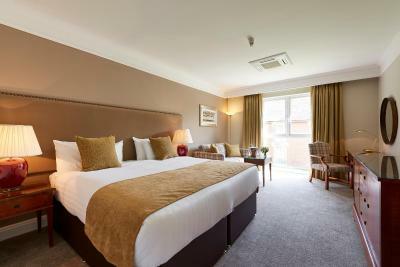 The king rooms offer a living space with a king-size bed. The en-suite facilities contain a shower. Air-conditioning is also provided. 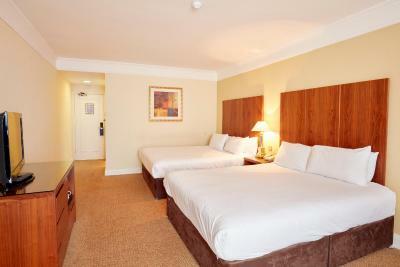 Located on the ground floor, it features two double beds, which can accommodate two adults and up to two children. 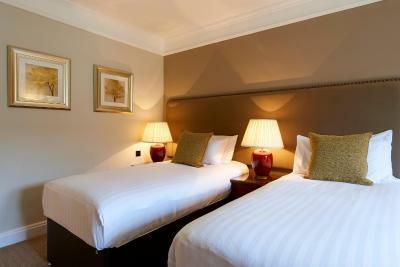 The room has en-suite facilities with a bath and overhead shower. Air-conditioning is also provided. 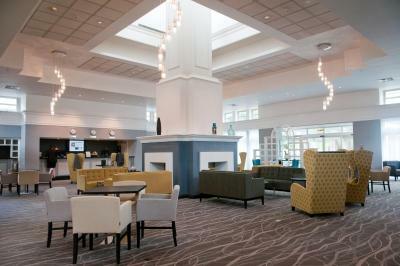 House rules Coldra Court Hotel by Celtic Manor takes special requests - add in the next step! Coldra Court Hotel by Celtic Manor accepts these cards and reserves the right to temporarily hold an amount prior to arrival. A security deposit of GBP 50 will be pre-auhorised to your debit/credit card upon arrival for incidentals. This deposit is released upon check-out and subject to a damage inspection of the accommodation. Family swim times are between 09:00 and 20:00. Last entry is at 19:15. Due to health and safety restrictions adult to child ratios apply in the swimming pool. 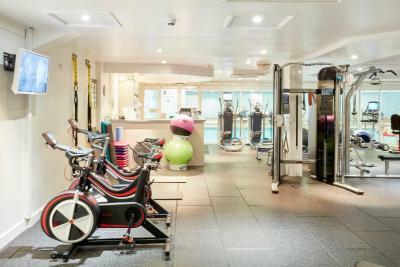 A minimum age restriction of 16 years old applies to the use of the Sauna, Steam Room and Spa Bath. To avoid disappointment is advisable to pre-book any dining requirements prior to your stay as the property cannot guarantee there will be availability in the restaurant at check in. Family room right by the main reception so noisy. Wine was £22 a bottle and tasted like battery acid. Couldn't book into the hotel restaurant, booked the hotel a few days in advance so couldn't book weeks in advance. Bar food was nice, too expensive for bar food which really was all it was, in Coldra Court or not. Not enough breakfast staff. Under half of restaurant full, so not busy. No plates for full English, minimal bread, ham and cheese. Dirty tables in places and no staff to clear our dirty dishes.